After staying in the tiny room of easyHotel Earl’s Court London 2 weeks ago, we decided to pamper ourselves with a real branded hotel stay – where better to stay than Hilton! There was a special promotion where you can stay in Hilton for just £68.43 per night, with buffet breakfast + 12noon late checkout. The Hilton London Euston hotel is only 5 minutes from Euston Station (where you can find convenience stores, Marks and Spencer, cafes and restaurants). Set in a stunning Victorian building, the hotel boasts 11 meeting rooms, a gym and sauna. However we were too tired to make full use of its gym and we have tonnes to pack before our flight back home the next day. 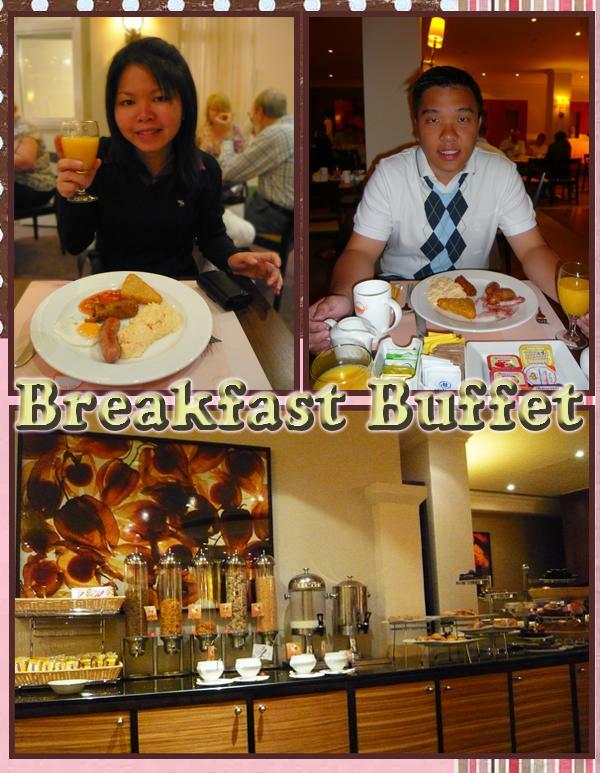 There is a huge selection of food for its breakfast buffet, with chefs preparing omelettes and waffles at your request. hehe sorry for this irrelevant comment here. couldn’t find a guestbook or something. ANW, nice blog! nice design and photos taken! I love the title of ur blog. haha! One of the best ways to enjoy a vacation (especially in London) is to book a luxury or 5-Star Hotel room and thereby enrich the overall vacation experience. Contrary to popular belief, if one does search the net and is ready to plan out things in advance, a stay at any one of the finest hotels or 5-Star accommodations will not be as expensive as one would normally think. Special deals and packages are offered by most of the 5-Star hotels and one must be on the lookout for these before embarking on their journey. This is a late post, but i used to stay at Passfield Hall down Endsleigh Place last summer for 5 weeks. (It’s the around the corner on the right based on your 3rd picture) I loved the Bloomsbury neighbourhood, quiet and safe, right in Central London. Loved sitting and reading on the bench at Tavistock Sq. Missing it dearly. I know just how it feels to stay at a 5-star hotel. I myself got to stay in one, in Ritz Hotel London. It was AMAZING! Not only did I enjoy the activities in London, but when I came back to the hotel, the staffs were there to greet me with their smiles and services. What I enjoyed the most was the view though, because I was able to look at Westminster clearly. Are hotels in London cheap? Or it just happened that you stumbled upon a promo./?